Closets are one of the most abused areas in homes. While some closets are neat and well kept, it is also factual to say many are so disarray and cluttered. 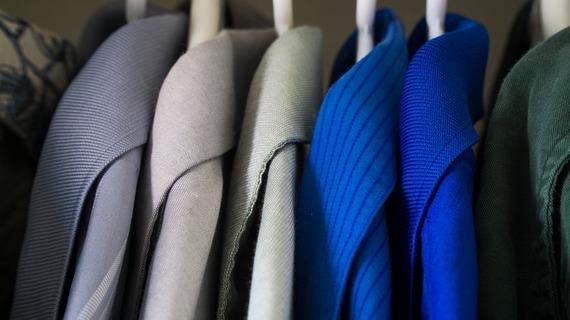 We love our closets, but are they really presentable enough? If no, then you obviously need some serious closet organization task to do. You'll certainly benefit from this in the long run. Probably, one of the greatest benefits is the fact that you will learn how to be more organized in life because the principles are quite similar. So are you now inspired to move forward and give your closet the proper attention it deserves? let's get started. The first thing you need to do when making a custom closet is to set a schedule to do this stuff- maybe on weekends when you'll have plenty of spare hours. Not only that, you can involve the kids or spouse to help you get on with it. You can just cajole, sweet talk or even blackmail them to assist you. The more hands, the faster and better! There are lots and lots of custom closet organization aide which comes at affordable costs and you can find them at ClosetPro. You can get wire closet organizers for $60 at your favorite home décor store. There is no need for you to go for luxurious organizer system. Though, you can, if you've got some cash to spare. After grouping the stuff you just emptied from the closet, the next thing is to segregate further those stuff that you still feel you might want to use or wear. Ask yourself questions like: "Do I still need to wear this rickety looking shirt?" or else, you'll just realize that your closet is stuffed with clothes you haven't wear for long.